Social media in its most functional sense invites us to discover fresh and innovative work like that of Jeffrey Thelin (@teyleen). Jeffrey’s art exists at a place where pristine landscapes and minimal graphics connect and is executed in such a way that instead of distraction we find a sense of synergy in the imagery created. He was kind enough to answer some questions for the Mextures community, allowing us a bit of insight into his process and the things that drive him. Check it out! My name is Jeffrey Thelin. I live in the Washington D.C. area and I studied industrial design at James Madison University. A few weeks before I graduated I decided to launch my own clothing line at teyleen.com and to become a freelance designer, filmmaker, and photographer. I freelanced for about 2 years, but I really wanted to hone my skills and be on a team again so now I'm working for a small video production company as a Creative Producer. When I first started drawing I was always interested in shapes and colors. It wasn't until about 5 years ago that I ever got started with graphic design in a digital fashion. I've also been interested in photography and film since I was a child. Me and my brother made movies growing up and then in high school my friends and I started making movies and entering them in local talent shows. Then in college I started doing work for the university as a photographer and filmmaker which led into getting some freelance work and started me on the path I am on now. Social media was really what got me excited about design and photography. Seeing people all over the world enjoy my work has been so moving. I feel like the connection I have with my audience through social media is really what drives me to keep creating everyday. Describing my style has always been hard for me. I'm a minimalist through and through. That's really my guiding compass throughout the design process. For me I just wanted to blend two of my favorite things: photography and graphic design. The main thing I want give people with my work is an experience. A moment of peace in a busy world. Even if it's just the amount of time it takes to "like" something on social media, I want to create little spaces where people can just observe something pleasant and then proceed throughout their day - hopefully the better for it. Creating all my work on my phone and also taking most of my photos with my phone allows my creative process to always be in motion. My photos are all very spontaneous though. I don't go on many photo "missions" or things like that. Throughout my day I'm just constantly searching for interesting light, textures, and scenes. My editing process begins in my camera roll. I look for images that catch my eye. Next, I move into "idesign" where I begin to lay shapes onto the photo. I look for elements of harmony and balance and think about what sort of mood and colors the photo makes me feel. This is the bulk of the process. Next I blend the graphic and the image to make the whole composition feel cohesive. Apps like, Mextures and Len Distortions have really opened up so many possibilities in this space for me. There's an infinite amount of moods and textures you can create. Finally I bring the image into VSCO for the final edit. I generally try to go for a faded slightly grainy kind of look that I believe lends to the graphic and image feeling like they belong together. Mextures has been a part of my workflow since the beginning. I used to use Mextures when they were just an overlay pack you could download! But it's always fit into that part of the process where I'm trying to blend the graphics and image. Mextures sets the tone of my images and a lot of the time I use it to create an ethereal sort of effect. CAN YOU SHARE SOME OF YOUR MEXTURES FORMULAS? Here are my three main ones! Lacuna - IPWFPDP - Works well with earthy tones and brings out clarity and sharpness in mountainscapes. Noetic - TGVPBLG - Gives a dreamy feeling to landscapes with soft colors and a warm light leak. Algid - KLUXRPE - Makes images seem colder, darker, with slight grain. Gives a vibe that works well for a snowy wintery feel. Mextures was one of the first things that made me get creative with my photo editing. Unlike other applications with limited capabilities, Mextures has always been the place I go to to play with my images when I really want to convey a certain mood. There's just such a diversity of effects. The possibilities are truly limitless and I've always loved seeing what I can come up with. WHAT HAVE BEEN TWO OF YOUR FAVORITE PIECES TO CREATE? Both of these designs are really special to me. Minim was one of the first times I tried cropping the image into a circle and I also feel like I'm always chasing this feeling of peace in my work and I believe this one translate that feeling well. Yūgen is special to me because I got to collaborate with my favorite photographer, @amongthepine. All of my work is inspired from the photograph itself and this design came to me instantly when I saw the photo. So, it's a good reminder to myself to focus on the photography element of my work. What inspires me to create more than anything else is the feeling it gives me. When I'm making art I feel most like myself - it's how I understand and process the world around me. Making art is also like meditation to me; it feels very therapeutic. @_el_dino_ or "Craig" has always been a huge inspiration to me and was very supportive of my work and encouraged me when I was just getting started. 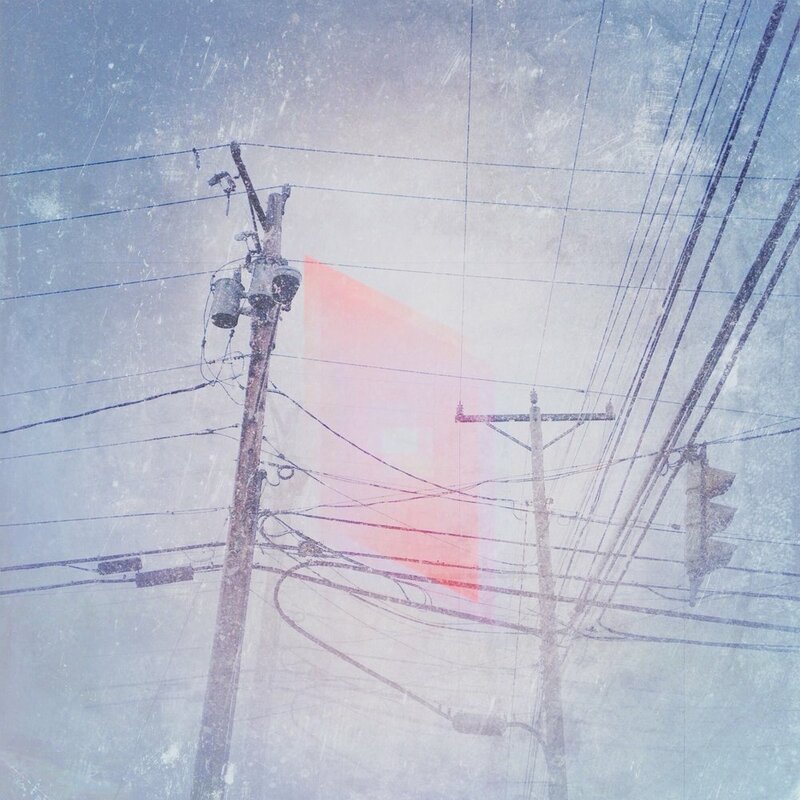 @nghbrs has always been a beacon for me of what mobile art could be. He continually pumps out unique and incredibly intricate pieces that I don't think are rivaled by anyone else. See more of Jeffrey’s work here and check out this recent video he made!